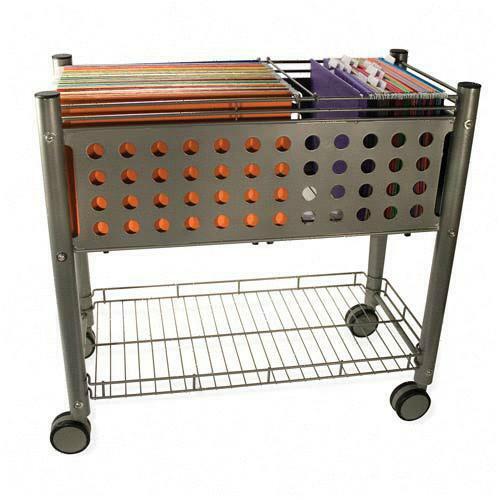 Rolling File Cart with open top holds letter size and/or legal size hanging file folders. Bottom shelf holds paper and supplies or is easily removed to accommodate the Vertiflex SmartWorx Companion File. Cart is made of durable steel and wire and rolls on four twin-wheel casters (two locking).